Valentine’s Day doesn’t have to be all shiny and glittery. Today I’m showing you how to make a Deco Mesh Rustic Valentine’s Day Wreath that will complement any farmhouse décor. This post may contain affiliate links for your convenience. Click here to read my full disclosure policy. Just when we’re feeling like our homes feel bland after the holidays, Valentine’s Day comes along and gives us a chance to add a splash of color! Wreath friend, you’ll be the envy of the neighborhood with this fun and stylish Deco Mesh Rustic Valentine’s Day wreath. Begin by cutting Deco Mesh into 20-inch sections. 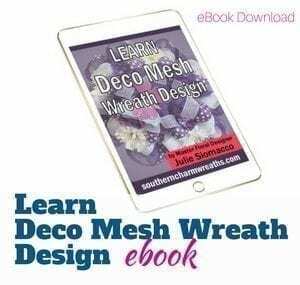 Ruffle each section of the Deco Mesh pieces, pinch in the center and then attach onto wreath base by twisting the branches of the wreath base around it. 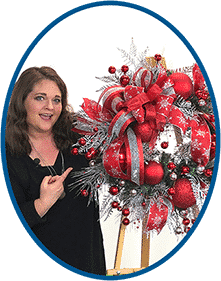 Cut 14-inch strips of ribbon and attach onto the wreath base by twisting the branches around it and separate in an X shape. Tip: I like to layer two pieces of ribbon on top of each other to add more dimension and interest. Remove the hangers and tags. Use the wire hanger you just removed or florist wire to pierce through the back of the heart and thread through. Then use that wire to attach the hearts to the wreath base. Next, make a bow. I made a Funky Bow using three different ribbons and 12-inch loops. 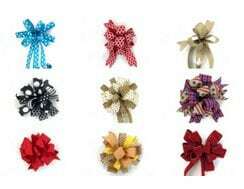 Secure the bow to the base with florist wire. Trim long stems from flower bunches and hot glue flowers onto wreath base. Add additional greenery pieces, pinecones, etc. that you want to fill in your wreath. This adds dimension to your wreath and also helps to hide the base. Simply separate each piece from the main stem, trim stems as needed and hot glue to the base. The result is a beautiful DIY Rustic Valentine’s Wreath for your door! You can customize this to go with your colors and décor. If you find something fun to put on your wreath instead of the hearts that I had, go for it! That is the fun part of making something yourself, you get to make it yours. 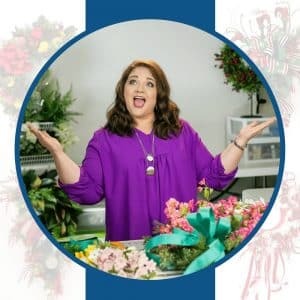 I love all your wreaths and I also like flower arrangements thank you for all the information. 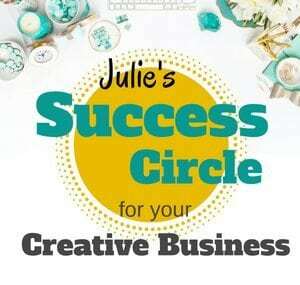 This is a gorgeous wreath and has inspired me to create my own wreath. I’ll send you pictures as soon as I finish it! You are Great at all you do… I am going to put this one together tomorrow..